Just back from Albania where she emerged Miss Bikini at Miss Globe World beauty pageant, Natasha Oritsejalu, Miss Delta and second runners up, the BAIP Miss Tourism International Nigeria 2017, has revealed that Agbani Darego is her mentor. 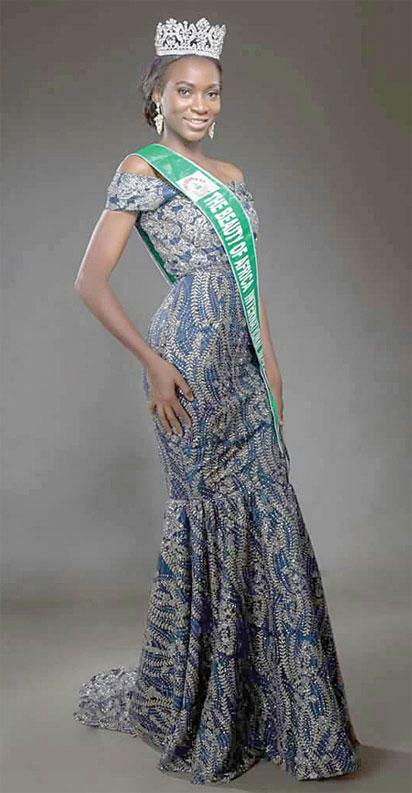 “Agbani Darego is my mentor, role model, whatever you want to call it. She is the only black woman to have won Miss World. I am really inspired by her. Today, she has carved a niche for herself. she is a brand; I believe in branding so much” she said, in a chat with Potpourri. Speaking of her trip to Albania, the beauty queen enthused that she had a great time, meeting people. “I met a lot of people from across the world speaking different languages. I met beautiful and nice people. Albania is a beauty to behold; it is such a serene place to be. We were in camp for 11 days. It was like a dream; I still don’t believe I was there and won Miss Bikini. We went around the city, all of us, 56 beautiful girls and we were only four black girls. I am glad I made my country proud.